How To Check My Mobile Number | Gp, Banglalink, Airtel, Robi, Citycel, Teletalk. Sometimes you need to check your mobile number for various reasons. Like if you have an unused SIM that have a bonus offer then you need to know the number of that SIM card. There are number of mobile phone operator in Bangladesh like Grameenphone, Banglalink, Airtel, Robi, Citycel, Teletalk sim. We tried to give a short technique to discover your unknown mobile number from your mobile. 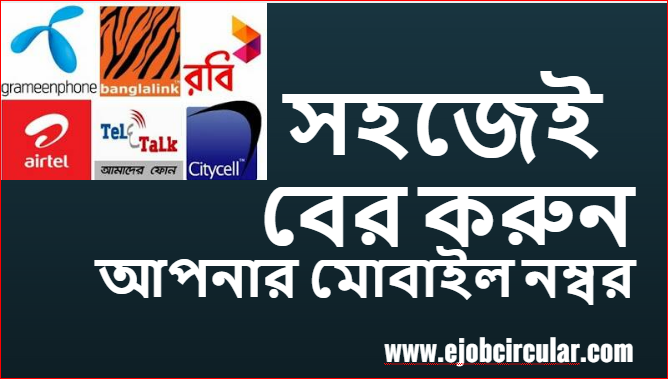 Here you will know about how to check gp number, how to check banglalink number, how to check robi number, how to check teletalk number, how to check citycell number. You can also read How To Check Grameen Phone SIM Call History Online. To know more information about different mobile phone operators and offers keep visiting our site and like our facebook page and join our facebook group.